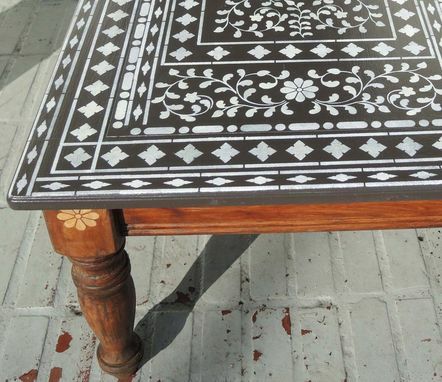 This simple coffee got the ultimate make over. 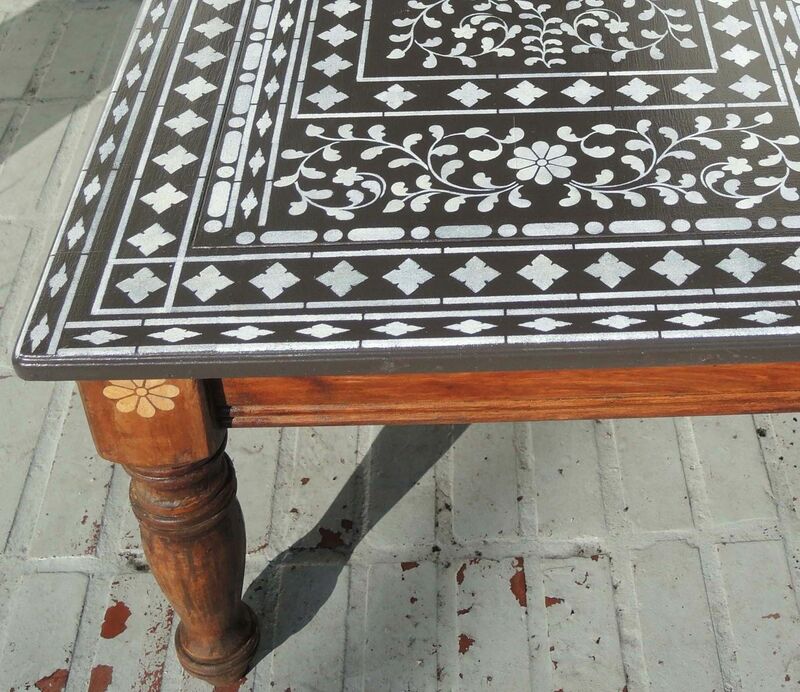 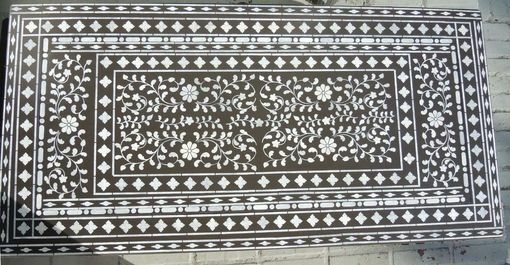 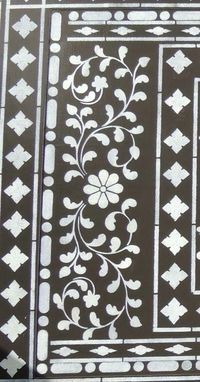 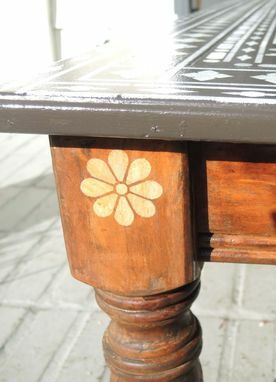 it was stripped to the bare wood, given a new coat of paint and stain and hand stenciled with these exotic geometrical and floral motifs. 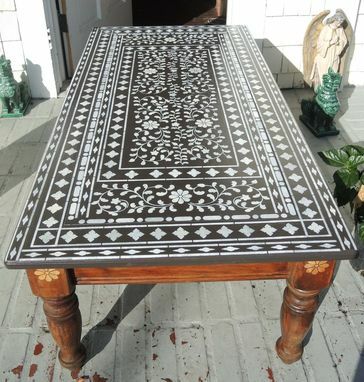 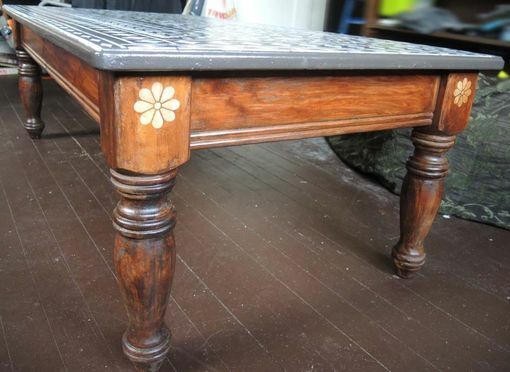 The end product is a beautiful table festooned with an Asian design with a hint of British Colonial.